True contentment is the power of getting out of any situation all that there is in it!!! 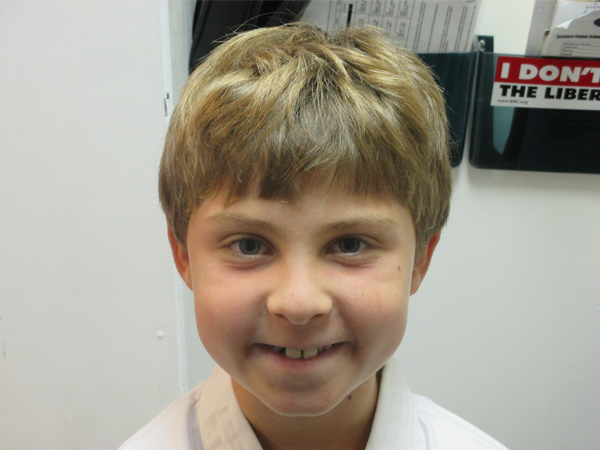 Asher joined our Black Belt School in November of 2014. Asher really enjoys classes and learning new things through his outstanding attendance. Always a smile, Asher sets an example for others to emulate. Always giving 100% and then some, Asher can be counted on to encourage others to try harder. Sifu Rick and staff would like to salute Asher’s parents, Alan & Marcy, for all their support. Daylight savings time begins this month. Though the modern practice has only been in place for about 100 years, the general idea was conceived centuries before. Many ancient civilizations were known to adjust their schedules to make better use of the natural daylight available. Roman water clocks, for example, were created with different scales for different months of the year. In the United States, politician and inventor Benjamin Franklin is known to have been a major force behind the implementation of the modern version of daylight savings time. Franklin pened a letter to the editor of The Journal of Paris in 1784, titled “An Economical Project for Diminishing the Cost of Light.” In the essay, he suggested getting out of bed earlier in the morning to economize candle usage and make use of the morning sunlight. Through the next 200 years, various plans to move the clock were developed. George Vernon Hudson, an entomologist, proposed a two-hour shift, while William Willett, a builder, wanted to shift the clocks by 20 minutes each Sunday for four weeks in a row. The first country to implement modern daylight savings time was Germany. German clocks were set forward for the first time in April of 1916. The United States attempted to follow suit two years later when President Woodrow Wilson signed “fast time” into law to support the efforts of World War I. The seasonal time change, however, was repealed seven months later and not used nationwide again until President Franklin D. Roosevelt reinstituted it shortly after the bombing of Pearl Harbor in 1942. Today, over 70 countries worldwide participate in some version of Daylight Savings Time and the time shift affects over one billion people each year. Looking for a new caregiver can be a very stressful experience for a parent. Whether you are choosing in-home care, family day care or a formal child care center, there are basic things you should know and insist upon. The most common question asked of potential caregivers is “What do you charge?”, but this question only gives you some of the information you should have. Here are some questions to ask when searching for the right person or center to watch over your child or children. What qualifications do the caregivers have? Do they speak to the children/babies? Do they sing and read to them? Pay attention to how the caregiver/staff members interact with the other children. Studies show that singing and reading to babies help prepare a child’s ear, voice and brain for language development. Do they answer the children’s questions patiently? Do they ask the children questions? Is each baby allowed to eat and sleep according to their schedule or the schedule requested by parents? How does the caregiver feel about discipline, toilet training, feeding, etc.? Do the caregiver’s beliefs match your own? Does the caregiver handle conflicts without losing patience, shaming a child or displaying anger? Are they trained in first aid and CPR? Do they have emergency protocols in place? You need to make sure, if anything was to happen, they know how to professionally handle an emergency situation. How do other children in the center handle separation anxiety? What do the teachers do to help? Do they provide care for a sick child? What is the child to caregiver ratio? If at all possible, before making your program choice, observe caregivers interacting with children during the day. Parents can learn a lot about a program simply by watching. Trust your gut instinct, every parent knows when something doesn’t feel quite right. You may be turned off by a daycare everyone in town raves about or clash with a highly recommended sitter. If that happens, keep searching. Children deserve, and thrive under, good, nurturing care. If something just doesn’t feel right about your situation, look into other options.